Elise Hu Elise Hu is a correspondent and video host based at NPR West in Culver City, CA. 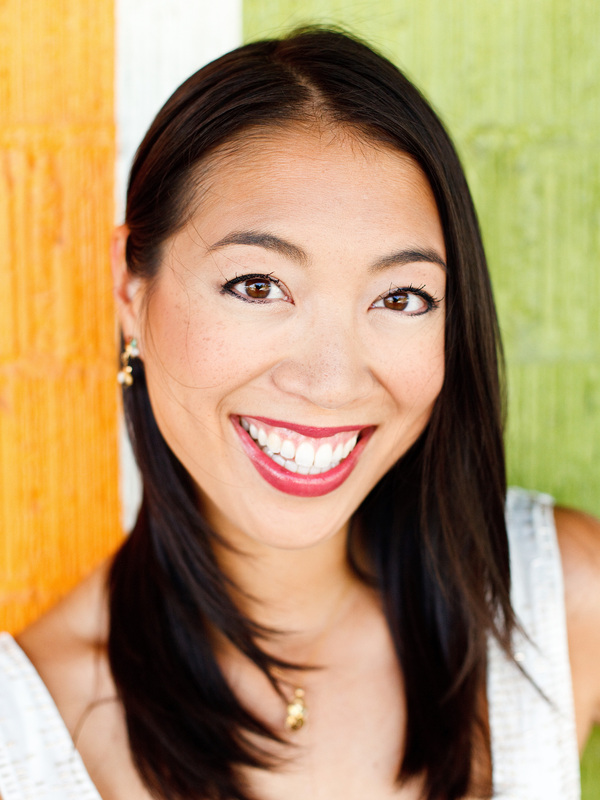 Elise Hu is a correspondent and video host based at NPR West in Culver City, CA. Previously, she was the founding bureau chief and International Correspondent for NPR's Seoul office, where she was based for three years and responsible for coverage of the Koreas and Japan, and filed from a dozen countries across Asia. Before joining NPR, she was one of the founding reporters at The Texas Tribune, a non-profit digital news startup devoted to politics and public policy. While at the Tribune, Hu oversaw television partnerships and multimedia projects, contributed to The New York Times' expanded Texas coverage, and pushed for editorial innovation across platforms. Her work at NPR has earned a DuPont-Columbia award and a Gracie Award from the Alliance for Women in Media for her video series, Elise Tries. Her previous work has earned a Gannett Foundation Award for Innovation in Watchdog Journalism, a National Edward R. Murrow award for best online video, and beat reporting awards from the Texas Associated Press. The Austin Chronicle once dubiously named her the "Best TV Reporter Who Can Write." Outside of work, Hu has taught digital journalism at Northwestern University and Georgetown University's journalism schools and served as a guest co-host for TWIT.tv's program, Tech News Today. She's on the board of Grist Magazine and is a member of the Council on Foreign Relations. 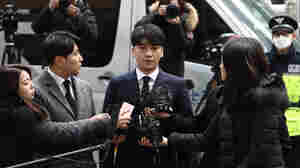 March 15, 2019  Several K-pop stars have admitted to being involved in the practice of "spycamming" in Korea — secretly recording sexual acts without the partner's notice and posting those videos online. November 21, 2018  The community shaken by California's Camp Fire is finding ways to come together for Thanksgiving. 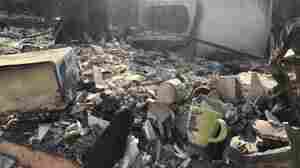 November 20, 2018  As the deadly Camp Fire burns in Northern California, people who lost their homes face a new struggle: lost paperwork. They're finding out what that means as they try to rebuild their lives. November 13, 2018  It's Tuesday. Elise Hu steps in the hosting chair for Sam and gets deep with Yeun on why he's sick of talking about Asian identity, his time as Glenn Rhee on The Walking Dead, and his new South Korean thriller. Send thoughts about the episode to Elise at ehu@npr.org or tweet her @elisewho. July 24, 2018  Satellite imagery shows North Korea is taking apart a rocket and engine site on its western coast. The action follows a promise made at last month's U.S.-North Korea summit in Singapore. July 8, 2018  Officials in the U.S. and North Korea continue to offer contradicting reports on whether their recent meeting in Pyongyang was productive. July 7, 2018  The meetings happened amid growing concern North Korea is not taking steps toward denuclearization — and uncertainty as to what each side meant when they committed to it. 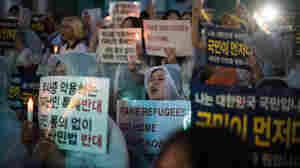 July 4, 2018  More than 500 Yemenis are awaiting asylum decisions on a South Korean resort island that allowed them to arrive visa-free. Their presence has sparked nationwide protests. June 28, 2018  Defense Secretary Jim Mattis is in Seoul, where he's expected to discuss the drawdown of military exercises with South Korea, and the repatriation of the remains of U.S. soldiers from the Korean War. June 14, 2018  Mike Pompeo is in Asia to reassure America's allies. Also, an internal Justice Department watchdog is releasing a report on the handling of the Clinton email investigation. June 14, 2018  Secretary of State Mike Pompeo is in South Korea talking to U.S. allies after President Trump's meeting with Kim Jong Un. June 12, 2018  A big headline out of the agreement at the Singapore summit is that President Trump has agreed to stop joint military exercises between the U.S. and South Korea. What's the significance of that? 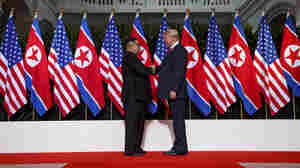 June 12, 2018  Following a historic summit in Singapore, President Trump and North Korean leader Kim Jong Un signed a broad statement Tuesday that calls for a "firm and unwavering commitment to complete denuclearization of the Korean peninsula." Though critics suggest that the U.S. appears to have made more concessions than the regime. This episode: Congressional correspondent Scott Detrow, White House reporter Ayesha Rascoe, White House Correspondent Scott Horsley, and Seoul Bureau Chief Elise Hu. Email the show at nprpolitics@npr.org. Find and support your local public radio station at npr.org/stations.